University Chevron is your one-stop car maintenance, auto repair, and refueling facility! 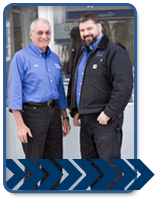 We are family owned and operated serving the Fairbanks area since 1977 and we are here to provide you with quality service for your personal car or truck. We know you’re looking for someone you can trust with all your automotive needs. The last thing you need to do is worry about is whether your vehicle is going to run properly. Who needs to be caught by surprise with costly repairs? We'll give you a lift! We know sometimes it’s hard to find someone to drop you off and pick you up when you have to leave your car for repairs. That’s why we want to provide you with worry-free, convenient shuttle service. Let us chauffeur you to and from work, or home. Who knows? You might make some new friends on the way! Is your glove compartment full of vehicle repair orders and recommended maintenance notices? Can’t remember when you had your oil changed last (and that little sticker on your windshield fell off last time you washed your windshield?) Most of us don’t have the time or the energy to keep detailed records on auto repairs and maintenance. No worries! We can do that for you and then we’ll even send you a postcard, or an email so you can make sure your automobiles keep in worry-free, tip-top condition. If you would like a copy of your service history, just give us a call. Because we know the history of your vehicle, we can prepare an effective preventative maintenance program for you. You can sleep sound knowing that a car that is maintained is less likely to break down! We’ll keep you advised of your vehicle needs so you can make appointments convenient for you. Have a new car, or used car warranty? We’re your dealership alternative. We can do your 30,60,90 day service to keep your warranty secure. And you can be sure we’ll keep detailed records. Some of our equipment looks like the dashboard of a jumbo jet airliner but our expert ASE Certified Master Technicians know what all those digital readouts mean. They are specially trained to know how to interpret what your car is telling them and they know how to fix it. Is your car having driveability problems? Diagnosis is our specialty. Our techs won’t stop until they find the problem and then they fix it! We're dedicated to staying on the cutting edge of technology. You want quality repairs and maintenance we want to give it to you. It takes hi-tech equipment to do that so that’s what we have and we know how to use it! 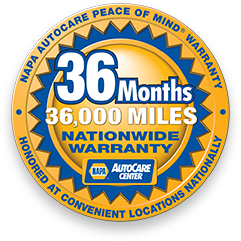 36 Months/36,000 Mile NATIONWIDE Warranty! We stand by our excellent service and the premium, quality parts we use. Your vehicle is covered locally by University Chevrons extended warranty coverage. Confidence is knowing that should your vehicle ever have a problem, bring it back to our facility and we will cover it for 36 months or 36,000 miles. 24 Hr Towing is Available through Interior Towing. Call us at 907-479-4255. What’s better than getting a great deal on auto care needs? Getting rewards and discounts! We offer both! Check out our Discounts & Promotions. At University Chevron we recognize the importance of being environmentally aware and responsible. Please check out our web page on how we do everything we can to be good stewards of the environment. Since our inception we maintain the highest respect for our customers, staff, and community. Take a look at our specific code of ethics. AMERICAN RED CROSS CPR & FIRST AID CERTIFIED! University Chevron has always had an exceptional staff but NOW they are even better! Our staff have been CPR and First Aid certified by the American Red Cross. CPR, Cardiopulmonary resuscitation is a lifesaving technique that can be used in emergency situations like heart attack or water-related incidents where a persons breathing or heartbeat has stopped. The American Heart Association has updated their guidelines and recommends that everyone should know what to do to help until medical experts can arrive on the scene. CPR can save lives! Oxygenated blood needs to flow continuously to the brain and other vital organs until professional medical treatment is available. If a persons heart stops, the lack of oxygenated blood for just a few minutes to the brain could cause permanent damage. Death could occur within eight to 10 minutes. Our outstanding University personnel are also trained in First Aid: they are able to recognize and care for a variety of emergency injury situations, such as cuts, burns, scrapes, head and back injuries, sudden illnesses, as well as heat and cold emergencies. The caring individuals at University Chevron want to give you the best customer service youve ever received, and want you to know that your health and safety are important to them as well!